Isn’t “sustainable” just code for “expensive”? Don’t believe the hype. Conscious consumption not only saves you money – it can expand your horizons as well. From food to the power grid: we’ve taken a deeper look at different aspects of everyday life and put together this series of tips on sustainable living on a shoestring budget. Feeding yourself sustainably means transitioning to organic foods – but the price jump between “conventional” and organic groceries may leave you in shock. But it’s worth taking a closer look at organics. Just as you know that certain grocery stores in your area are more expensive, there can be a similarly large price range between stores offering organic products. While shopping around to figure out the best prices, don’t forget to compare store-brand items to brand-name ones; this little change can save you big each time you shop. And you don’t even have to make a special trip to buy organic: most grocery stores today – even discount chains – have inexpensive organic products, including their own store-brand organic lines. Buying cosmetics is already an expensive exercise before adding organic and cruelty-free considerations to the price tag. But there are still tricks for being a more sustainable consumer of beauty products without breaking the bank. Once again, don’t be afraid to use store-brand organics, as these are always cheaper than name brands. The range of store-brand products on offer is wide, including classics like body wash and shampoo to specialty products like make-up remover or anti-aging skin creme. Another option is to switch to bars: bars of soap and shampoo are often sold without packaging, making them an immediately more sustainable choice. And since bars last longer than bottles, their price per use is even cheaper. It’s also possible to make your own organic alternatives to body care products – you’ll find loads of tutorials on deep conditioners, deodorants, lip balm, or skin peelings online or on YouTube. Another large line-item in the sustainable consumer’s budget is clothing. Large chain stores produce up to 12 separate collections per year, driving us to a state of permanent clothing consumption. The result: even if each individual tee-shirt or pair of pants is cheap, the annual cost of purchases adds up to a huge pile of cash. And in the end, only a fraction of the clothing in our closets ever actually gets worn. Therefore it’s better to buy less, but to ensure that it’s fair trade. It’s often barely more expensive than name-brand clothing; many organic jeans today are in fact cheaper than name-brand jeans. There are any number of flea markets, garage sales, or secondhand shops in every city where you can buy new or lightly-used clothing for pennies on the dollar. You can even shop used fashion online – and not just on ebay! Children’s clothing should only be purchased used, since children grow out of their clothes long before they’ve had a chance to wear them out. It’s easy to find or swap kid’s stuff online. Another option growing in popularity: public clothing swaps. The concept is simple: everyone brings along clothing that they no longer wear and exchange them for other pieces from other people that they like better. Have a quick look online to see if there’s not a public event taking place near you soon – and if not, organize a small exchange of your own at home with friends, family, and colleagues. Freebie flea markets work on the same principle, just without clothing: no money ever changes hands. A closet doesn’t actually need heaps of clothing; a good-looking set of basics combined with a few special pieces are almost always enough. Sustainable behaviors can save the planet and money at the same time – take the example of laundry. Too many people use far too much laundry soap. This causes the average person to use almost 17 pounds of laundry soap per year. Take a minute to read the washing instructions on your laundry soap and adjust accordingly, especially considering the hardness of your local water source. Try to use less laundry soap whenever possible. Wash heavily soiled items separately from others. Then use the regular amount of soap recommended, preferably of an organic laundry soap. Look under most sinks and you’ll find at least eight different types of cleanser: bathroom cleaner, window cleaner, toilet cleaner, soft scrub, tile cleaner, carpet cleaner, bleach or disinfectant spray, and lime scale remover. All of those products will cost you – and are absolutely unnecessary. 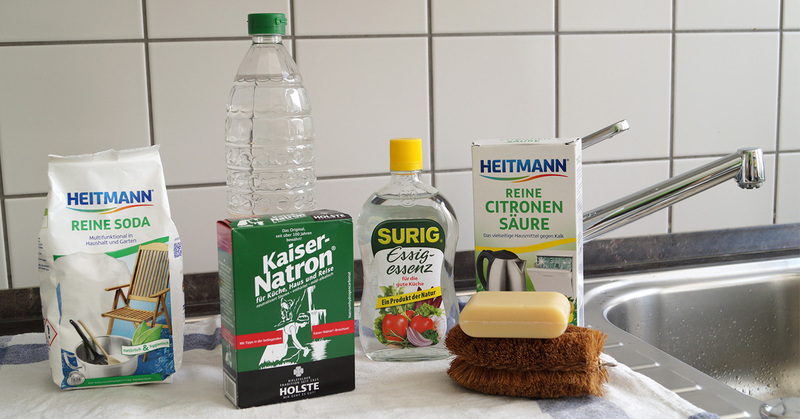 Far more sustainable for your wallet and the environment is to use or combine natural cleaners you already have around the house: baking soda, castile or curd soap, washing soda, vinegar, and citric acid, to name a few. These five items replace virtually every cleanser imaginable! A car isn’t cheap: first comes the purchase, then the maintenance and insurance, and finally the gasoline to keep it moving. Far less expensive and far more environmentally friendly is riding a bike. Many cities have free bike repair workshops where you can learn how to maintain your bike yourself. Then you only need to pay for replacement parts. If you live in a city, a bicycle is often a speedier alternative to traveling by car or public transportation to work. If you need to take the bus or subway: monthly tickets save you money, and there are often discounts for lower-income groups like youths, students, and senior citizens. Long-distance bus or train tickets are an affordable alternative to driving or flying. Sustainable consumption also means using things for as long as possible and for as many uses as possible. 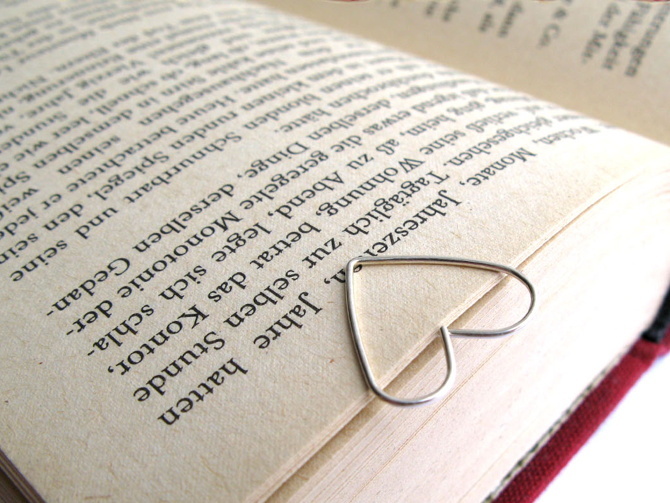 Books are a great example. Your good old neighborhood library is the perfect, free source of almost every form of media you’d like to consume, from books to movies to music and beyond. You may have to wait a bit for new releases, but the breadth of the library catalog should make up for any time you spend on lists waiting for popular titles – there are so many other things to read while you wait! It’s also easy to find used books inexpensively, usually at a fraction of their original price. The new trend of “little free libraries” lets people exchange books for free: you can add any books you’re finished with to the cupboard and remove anything you find interesting. This results in a permanently changing selection. Or simply start trading titles with friends and colleagues! Pro tip: Libraries are deep in the 21st century and expanding their catalogs to include online courses, streaming videos, and ebooks. You’ll typically need to download a free app to your device in order to access this content with your library card. It’s much cheaper than a new phone. You are ensuring that the valuable raw materials in your phone live the longest life possible. You’re preventing waste and protecting the climate. Need a new phone? Then have a look on used sites. Finally you can save money on your calls: Compare cell phone plans and change your provider more often. Ask your friends which provider they recommend. Each of us can save just a few more watts every day, which adds up for the climate and your purse over the course of a year. Turn off standby mode whenever possible. Standby is often more energy intensive that actually using a device. Pay attention to the amount of energy used by new appliances like washing machines or vacuum cleaners and choose models that use less energy. It is possible even for renters to save money by heating and cooling their living spaces properly. You can find tips for installing programmable thermostats, sealing drafty spaces, or proper ventilation from your local extension office. Many refrigerators are set far too low; optimal refrigerator temperature is around 45 degrees. We throw too many things away before we’ve even tried to repair them since it’s so easy to one-click order a replacement. This can really cost you over the long run – especially if you’re constantly replacing with cheap items that break faster. Consider whether you can’t mend that beloved piece of clothing or repair an appliance one more time. You can find a helping hand in a repair cafe or open workshop (like those for bikes) near you; youtube offers thousands of tutorials on repair – simply search for your device’s make and model. Some brands like Patagonia even offer public repair days – the “worn wear” tour – where you can bring in your used items to be professionally mended and purchase others’ used items at lower prices. Can you work out skill trades among friends: I’ll hem your pants if you bake me a loaf of bread? Great idea! In short, it is absolutely possible to live frugally and sustainably. It requires being open to new solutions and being willing to change old, wasteful habits. Our suggestions can be implemented or altered by anyone given their own ideas and budget. Please add your suggestions in the comments!